Dryden Homecoming committee knows their stuff when it comes to throwing an epic party. We’ve been invited to dozens of their events over the years. Out of all the Michigan homecoming DJs out their, their student council chose us for a couple reasons. 1.) 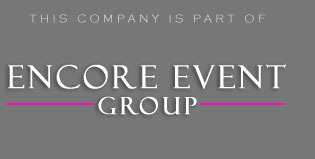 Encore has done their dances in the past 2.) We rock all their events 3.) Even though it’s not a wedding DJ, we always give them an awesome bang for their buck. Dryden is a small city located on the outskirts of Imlay City and Lapeer. It can be hard to find, but lucky we had our GPS available so it got us right to the gym doors. Now that we’ve covered the school, let’s talk about Dryden’s homecoming dance. As usual, it was a complete success. Homecomings are done right around the fall in October. It is a very big deal in most school districts. This includes a football game with homecoming floats, the Homecoming Dance, and Homecoming Court. Tickets usually go on sale about a month before the dance begins. Unlike the senior prom, the Homecoming is open to all grades. This means you will see the freshman, sophomores, juniors, and seniors. They held the dance in their gym. This meant the students had to put a lot of time and energy into transforming the space with decorations. Once it was all said and done, the gym didn’t even look recognizable. There were balloons hanging from the ceiling, with decor hanging from the strings. We finished our setup with enough time to complete our sound checks and program our music list. It is very important to give enough time on the package to tweak the sound system. This helps us get a general idea of how it sounds without any interference (aka people in the room). Once the students start to arrive, we will have to make minor adjustments to get it sounding perfect. The music kept the night rocking with a wide array of song selections. We aimed for more country early on, with top 40 mixed in every couple of sets. We even played some Michael Jackson and dedicated it to the principle, the students got a kick out of that! Our DJs were so busy mixing, that we didn’t even notice how quickly the school dance went by. It didn’t even fee like 4 hours once it was all said and done. Thanks again for inviting us out, it was a blast! Learn how we can save money on the DJ cost by bundling our Michigan photo booth and lighting packages. Go ahead, click the image below. Get the best options from your party, e-mail us here or call 877.643.8368.